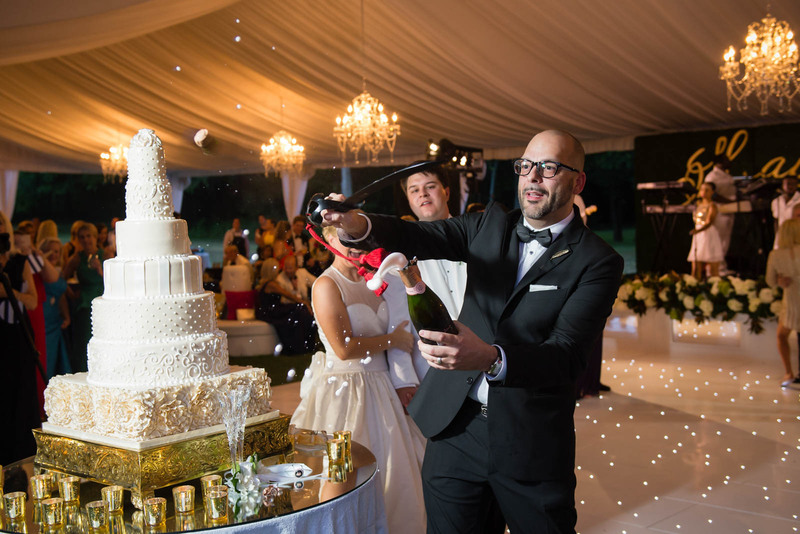 A groomsman expertly pops the bottle of champagne with a saber in preparation for a celebratory toast of the new couple. Wouldn't you want a groomsman that knows how to pop the bottle of champagne with a saber in your back pocket? Because I would! One of the coolest champagne toast that I have ever witness at a wedding. The bride and groom where anxious to celebrate and start the toast and so they went to open the champagne and one of his groomsmen said "I got this" and got a saber to slice the top of the bottle while everyone around roared in applause. Every impressive!